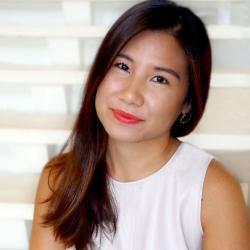 It’s time to emerge from the wedding funnel. 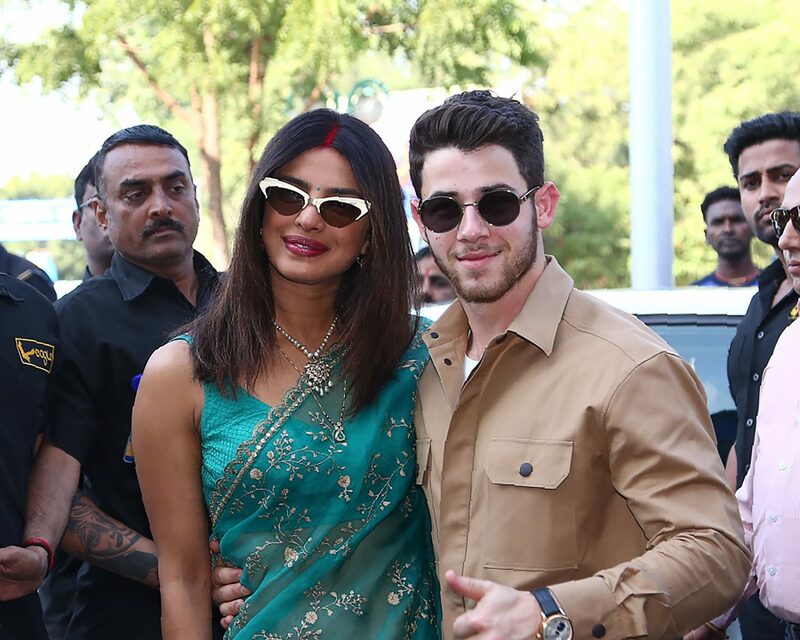 On Monday, December 3, following a celebratory weekend in Jodhpur, India, newlyweds Priyanka Chopra and Nick Jonas both stepped out from their venue with that just married glow—and rather special jewelry on display. The couple was photographed exiting the lavish Umaid Bhawan Palace on Monday. Chopra chose a brilliant emerald green outfit, revealing the intricate henna from her Mehendi. Jonas chose a more casual look, donning a khaki outfit and white sneakers. Most importantly, the former Disney actor posed and greeted fans and photographers with his left hand up front and center, debuting his new wedding band. It was previously reported that the couple chose Chopard to design their wedding rings. Chopra, of course, received a custom Tiffany & Co. engagement ring from Jonas, even celebrating her bridal shower last month at the flagship store in New York City. The couple made their marriage official on Sunday in a Christian ceremony, involving their loved ones. The father of the groom, Kevin Jonas Sr., officiated the nuptials, while Nick’s brothers Joe, Kevin and Frankie Jonas all served as groomsmen, along with Chopra’s brother. Chopra wore a custom gown by American designer Ralph Lauren, who also dressed the groom. 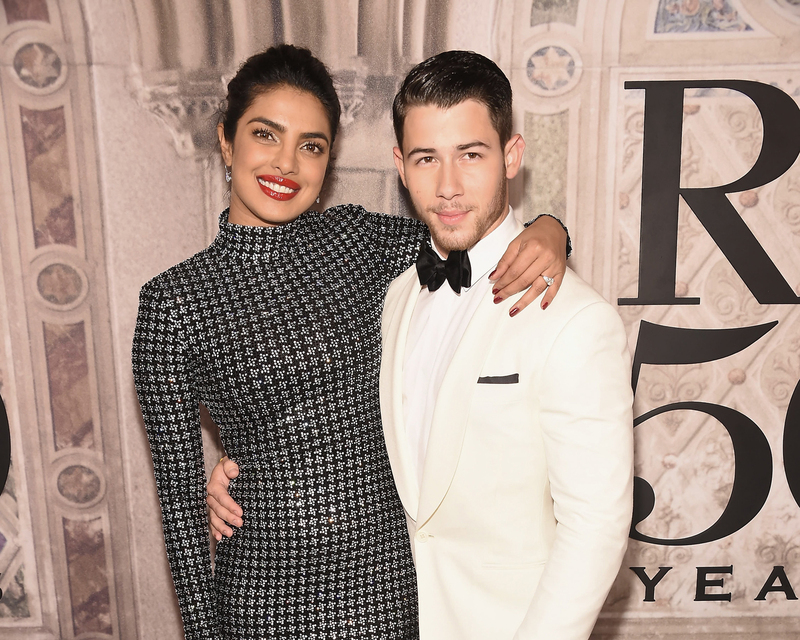 Ralph Lauren has played an integral role in a couple’s love story after both Jonas and Chopra were invited to join the brand at the 2017 Met Gala. For the next year, the couple didn’t date until they both attended the following Met Ball, during which Chopra once again chose a look by the designer. Ralph Lauren has only designed a few custom dresses in his illustrious career. One for his own daughter, another for his daughter-in-law Lauren Bush Lauren, and the last for his niece. Chopra and Jonas married just four months after announcing their engagement to the world. The proposal took place in July during a private vacation in Crete, Jonas recently shared in an interview. The couple’s wedding weekend followed a series of events including a traditional Mehendi ceremony and a Sangeet. 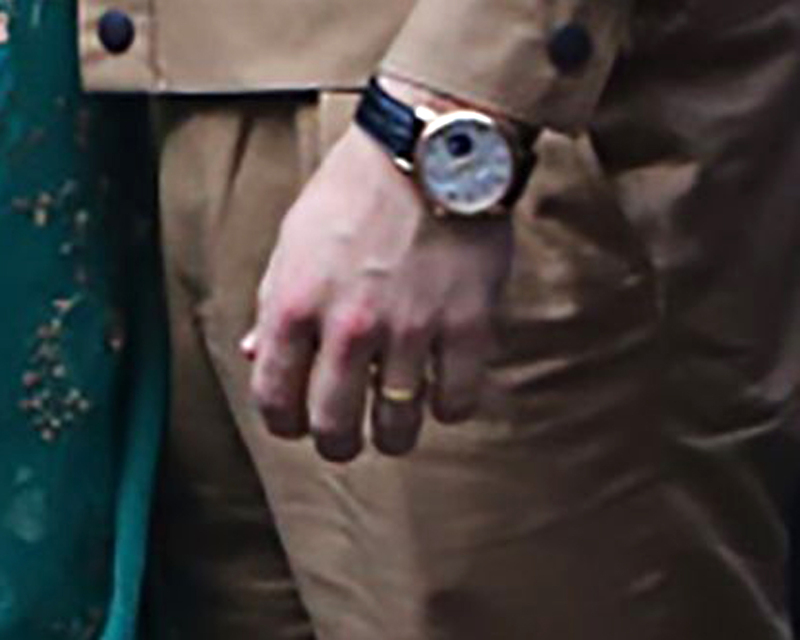 Be the first to comment on "Priyanka Chopra and Nick Jonas Step Out After the Wedding: See His Wedding Ring"